Audiovector Ki1 Super review | What Hi-Fi? If your first experience of the Audiovector Ki1 Supers was from a distance in a hi-fi dealer, you’d be forgiven for giving them a quick glance and walking on. Out of the box, these ‘ickle speakers look a little uninspiring and insubstantial. The grey, magnetic grille combined with the cherry wood looks very 1970s and aesthetics don’t really improve with the grille off. Peel it away, and beneath lies a face fixed with more bolts than a Meccano factory. The pock-marked front baffle is in stark contrast to the clean lines and minimalist appearance of others in this line-up. On the plus side, the Audiovectors have a particularly small footprint. The compact design is deliberate and a theme which runs right through the Ki range. They’re also fully upgradeable. The Ki1 is available in three guises: Standard, Super and Signature. So, you can upgrade these Supers to Signature status, which involves you sending the speakers back to the factory in Denmark. Here, the drivers and internal components are upgraded, (thus explaining the easily accessible bolts holding everything in) the cabinets refurbished and you’re charged the difference between the price for a pair of Supers and Signatures, plus 30 per cent to cover costs. Sit back, spin some music and any misgivings about their appearance soon fade away. 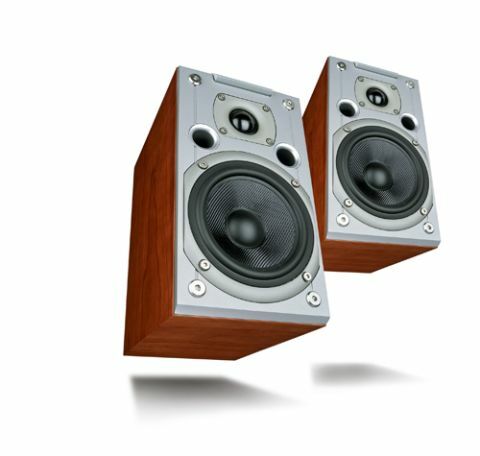 The Ki1 Supers are exceptionally likeable speakers. They’ll take any musical genre which tickles your fancy and give you a hugely enjoyable, well-mannered and well-balanced sound. Play The Rolling Stone’s Jumping Jack Flash and Mick Jagger’s vocal sounds smooth and refined. But this smoothness doesn’t stunt the speakers' detail levels here, or elsewhere in the frequency range. Electric guitars still have bite and a natural resonance. The Audiovectors follow the flow of a track to its natural conclusion and even the jazziest of tracks with tricky, complex rhythms are dispatched with relative ease. There’s no stumbling or bumbling here – the Audiovectors sound very confident. For such a small speaker, the Supers also generate an adequate amount of bass weight. Low frequencies sound solid and substantial, and although rivals can plummet a little lower these diminutive standmounters don’t sound out of their depth. It’s only really on the dynamic front where the Supers lose out. When it comes to far-reaching dynamics and scale, the Ki1s don’t have that extra gear at their disposal. This limited headroom stops them from communicating subtle and large-scale dynamic shifts. While Carmina Burana sounds perfectly rhythmical and refined, those towering crescendos sound a little weak-willed at this pricepoint. But this doesn’t detract from a speaker which loves to charm with its likeable, enjoyable sound. If you want an unobtrusive speaker that’s easy to live with and still packs a decent punch, then the Ki1 Supers deserve an audition.